Consider one of these six schools if you’d like to become a teacher or school administrator. 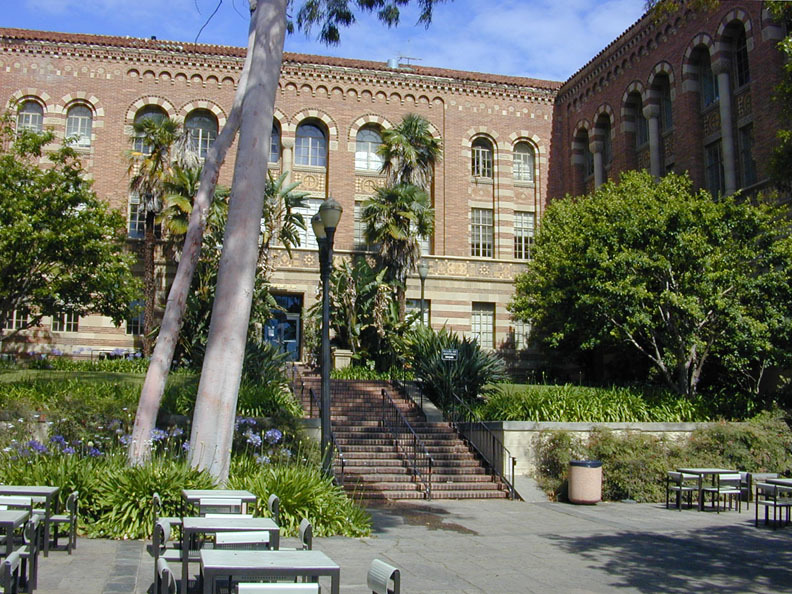 UCLA's Graduate School of Education was incorporated into the university in 1919. If you’ve decided to pursue a career as a teacher, professor or administrator, it’s important to seek out a school with a strong program in education in order to obtain the degree and skills you’ll need. If you’d like to get your master’s degree or PhD in California, consider one of these six colleges, all known for having well-respected schools of education. Now that you know which California colleges to pursue, you can start working towards your ultimate goal of becoming an effective teacher for future students. The Graduate School of Education at the University of California, Los Angeles, is one of the best in the country -- U.S. News and World Report ranked it eighth in the nation. The program is especially well regarded as a leader in urban education, preparing students to thrive as teachers in classrooms where ethnic, linguistic and social diversity is the norm. The University of California, Irvine’s School of Education was an academic department before becoming a full-fledged school in 2012, and they’ve since become the 37th best education school in the nation according to U.S. News and World Report. The program offers master’s degrees as well as PhDs in education. The University of California, Berkeley’s Graduate School of Education has a rich history. Even before its official founding in 1913, UC Berkeley granted the UC system’s first doctoral degree to a woman and first master’s degree to an Asian American, both in the fields of education. The School of Education is currently ranked 12th in the nation according to U.S. News and World Report, and it offers a wide range of programs, from an undergraduate minor in education to a master’s in human development to a PhD in quantitative methods and evaluation. UC Berkeley's education program offers both Master's Degrees and PhDs. The Gervitz Graduate School of Education at University of California, Santa Barbara, was ranked 40th in the nation by U.S. News and World Report. The school is especially known for its department of counseling, clinical and school psychology, which was created in 2006. San Diego State University’s College of Education stands out as the best school of its kind in the California State University system. It scored a spot on two U.S. News and World Report “best grad schools” lists: one for general education and one for secondary teacher education. The University of California, Davis’s School of Education, which was founded in 2002, was recently ranked 60th in the nation by U.S. News and World Report. The quality of the program is illustrated by the impressive awards and recognitions a variety of faculty members have received over the past few years. Next: What Do I Need to Complete My Application?